Okay this is way to large to not post. Blizzard has announced the coming back of their famous RPG series Diablo. This project has been tight lipped and has been at work for a while now, with gameplay to prove it. 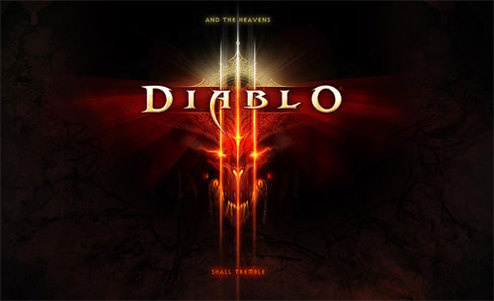 I for one can’t wait for this game, but I will be one of the first to amdit I have not owned a Diablo game, and I will try to get the Diablo Battlechest sometime soon. So Blizz fans let’s here it for Blizzard not turning their back on older game series. And now here is a pretty Blizzard cinematic. I will post more videos in the coming days. It’s been fun but lately neither sourlight or myself have posted anything. There’s a reason though, currently our lives have been taken up by some turmoil and some good stuff but there’s just not time for me to be interested in gaming right now. I still play games but I don’t have much motivation to post about them seeing as how I’m always either playing guitar or just doing other stuff. So I officially resign from Gaming Caddy. I may post in the future or maybe I’ll get back into gaming, but for now it’s not where my heart is. I had fun though, and thank you to the people who visit the site. EA has been creating a lot of buzz with their games recently because they’re starting to become better and better. And now EA is giving a game out to the public for free. It’s name? Battlefield Heroes. A team based TPS set during WWII via web based browser. It seems like there are no hooks or strings attached, and it’s DICE, the actual makers of the Battlefield series, so it’s in great hands. The game shifts away from the realistic and goes for a cartoony approach ala Team Fortress 2. My guess is that so everyone’s PC has a chance of running it. The initial game will only come with two maps since DICE looks at Battlefield servers and only sees two popular maps being played, although they will add more as game players increase (Hopefully). This game is actually decently high on the list of awesome sounding games. Today, one can download the Rock Band song – “Still Alive” for free, and this is no April Fool’s Joke ladies and gents. This the real deal. So get off your rumps and go get on the Xbox Live Marketplace and download it. Sorry Playstation 3 owners Still alive comes to the Playstation Network Store for free on April 17th. Hit the jump at Kotaku for more information. Sorry for no new news guys, I was up in new York while this site was down and Link couldn’t make any new posts, but I promise you there is a ton of gaming news to cover so stick around and your about to get a truckload of it.